The animals in the Museum of Science and Industry’s new exhibit speak (figuratively) for themselves. There’s not much more than the beasts to see at the Museum of Science and Industry’s new exhibit, “Animal Inside Out,” but they’re all you’ll need. 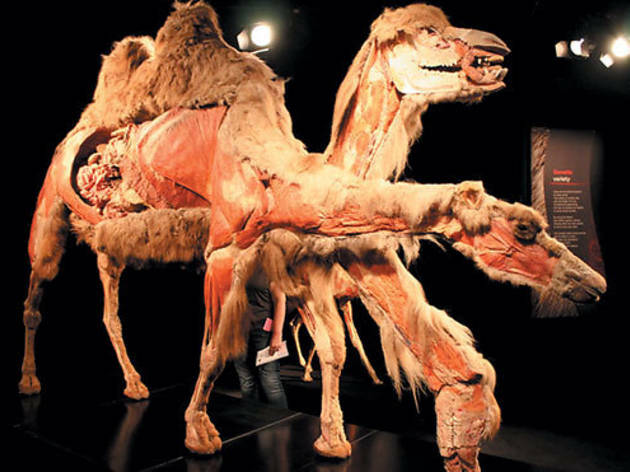 Displays of animals that have undergone the plastination process, which replaces a body’s fluids with plastics, are fascinating enough on their own—albeit somewhat macabre. 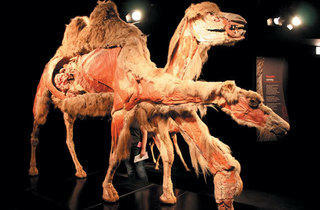 Making its U.S. premiere, the exhibit, a continuation of the famous (and controversial) “Body Worlds,” displays about 100 animals and a few humans. (In case you’re wondering: The animals were procured from zoos and universities and all died of natural causes.) Don’t skip the text panels: The trivia (did you know elephants walk on their toes?) deserves a close read.